Technology may change but principles do not. A society that encourages the creative spirit is rare in history and worth defending. The internet and digital technology have opened up many new opportunities for artists, but it has also opened up new opportunities for those who wish to exploit those artists. We offer for discussion a set of principles as a guide for companies and policy makers to keep in mind. It is our hope that these principles will help build a sustainable online creative ecosystem, one that benefits creators, innovators, and the general public alike. A fair and ethical internet is built on the respect and protection of the rights of individuals to determine who benefits from their labor and creations. Since the rise of digital utopians in the 1990s, we’ve unfortunately seen many very old arguments surface as to why the economic benefits of a few big companies should be valued over the labor rights of many. This problem is what drives workers to organize to protect their labor and demand fair compensation. 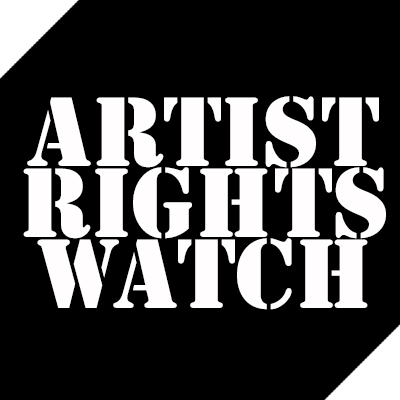 Not only are artist rights protected by the US Constitution, artist rights are also internationally recognized as human rights protected by many international treaties, including the Universal Declaration of Human Rights. 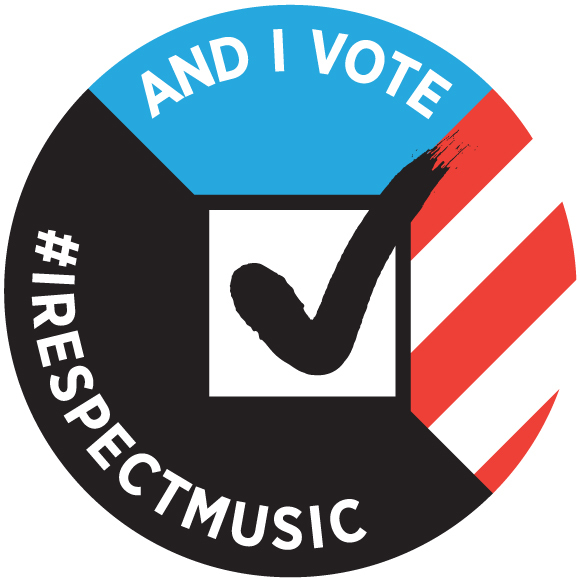 Unfortunately, however, there are those who seek to capture the value of artist rights profit only for themselves by systematically violating these rights for commercial gain. A free and open internet works best without overbearing regulation, but it will not work at all without protection for fundamental rights of working people. Your right to swing your fist stops at the end of my nose. Your rights end where mine begin. Rights secured by the Constitution are intended to protect the individual from hostile majority forces and the tyranny of the mob, particularly the corporate mob. This is especially true regarding copyright, which is itself a vehicle of the right of free expression for individuals, and protected by the Constitution. Everyone understands the value of individual privacy in the digital age. The essence of the artist’s control over the integrity of their work is not that different. Individual consent should be required for a corporation to profit from taking any creative work (just like individual consent is required for taking personal information) because the creative work goes to the artist’s personhood. Protecting an individual’s right to their personhood and the protection of their free expression are building blocks in the foundation of civilization. Freedom of speech requires freedom of expression. Copyright protects free expression. Together, they ensure a robust marketplace of ideas that advances truth, knowledge, and culture. Let’s get this straight. Censorship is intolerable. You don’t have to look very far to see artists being censored by governments — there are many historical examples . No one understands this more than the scores of individual artists, musicians, painters, writers, poets, filmmakers and creators of all disciplines who have actually (and literally) have been persecuted, disappeared or assassinated for their views all over the world. Sadly, many confuse the actual freedom of expression with the mistaken idea that preventing the illegal exploitation of that very expression is the same thing. It’s not. The copying and distribution of those expressions without the creators permission is simply exploitation without consent or compensation. Would you think that a car thief is being censored when they are prosecuted for stealing your car or a bank robber is being censored when they are prosecuted for stealing your money? Don’t trivialize “censorship”. In any value chain where the individual creator’s work is exploited, the creator must be compensated. Most fair and reasonable people embrace “Fair Trade” products to support and encourage fair compensation of labor. Unions have fought long hard-won battles for the protection of labor rights. As a society we recognize the individual’s right to fair compensation of labor as a fundamental cornerstone to an ethical and healthy society. The internet is inhabited by as many different varied participants as the physical world, and the respect for human labor should not be devalued simply because technology makes it possible to be unethical. It’s very simple–the answer if you don’t like an artist’s work is not to steal it–just don’t buy it. They’ll get the message. Mutual respect for the diversity of all online citizens is the cornerstone of a healthy and robust community. The mutual respect granted by intellectual property rights allows individual creators the freedom to determine what permissions they wish to grant and at what price. No one has to pay that price, but the creator is entitled to set it. Denying these freedoms to creators because the mob or a public company wants to overrun a musician, author, illustrator or photographer violates the very protections against mob rule that the Constitution is intended to secure. Sadly, this is largely how individual rights are viewed today by some online corporate interests. The illegal exploitation of individuals for commercial gain is not innovation, it is techno-thuggery and cyberbullying. We see many companies on the internet illegally exploiting the work, labor, innovation and creations of others simply because they can get away with it. We’re often told that innovation requires the unauthorized exploitation of creators in some kind of technological determinism that rejects the innovation of creators because it“scales”. That is just another way of using “convenience” as an excuse for theft. Any business that requires the illegal exploitation of individuals to be profitable is not a business but rather is a parasitic engine of oppression. Sustainable innovation is best represented by solving problems, not creating them by adding intentional opaque layers of obfuscation. The organized and deliberate complexity of some online ad networks, pirate site operations, and other businesses creates an impenetrable black box to protect illicit money flows and give the participants plausible deniability. Then we are told to “follow the money” through advertising networks, down a rabbit hole to a maze followed by another rabbit hole. That’s not innovation. It is old school wire fraud. This should not be a badge of honor for the online community but rather a point of embarrassment that the Internet—one of the greatest technological achievements of all time–is trivialized by making it nothing more than a safe house for many illegitimate businesses profiting at the expense of honest citizens. There are centuries of mutual ground between creators, commerce and rights holders. Let’s not throw this away. Let’s not set a goal of building a large database for clearances of all copyrights and do nothing until it is operational. That solution almost guarantees that there won’t be many new works to put in that database. Such a database has never existed and is incredibly complex. A transparent rights clearinghouse is a possible solution, but the lack of one it is definitely not an excuse for bad behavior. Tagged A Declaration of Principles for an Ethical and Sustainable Internet, internet declaration of independence, X declaration for cybersapce.